Ioan Grillo: On The Front Lines Of Mexico's Drug War Since 2006, 40,000 people have been murdered in Mexico as drug cartels battle each other and the Mexican military. 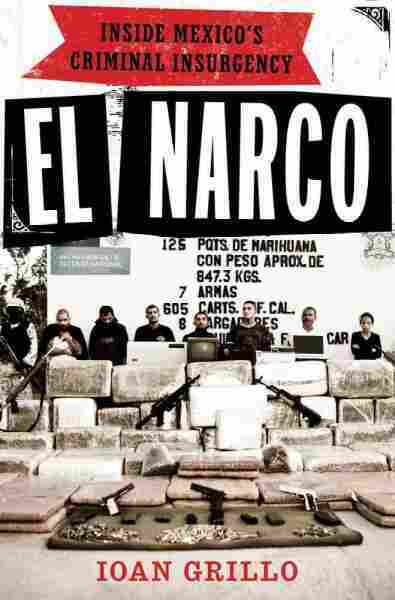 Journalist Ioan Grillo traces how Mexico came to control drug trafficking in El Narco. Since 2006, 40,000 people have been murdered in Mexico as drug cartels battle each other and the Mexican military. British journalist Ioan Grillo has spent the past 10 years covering the Mexican drug trade. His book El Narco traces how Mexico came to dominate drug trafficking, how it spread throughout the country, and how the drug cartels have radically transformed the area along the U.S.-Mexico border. Grillo tells Fresh Air's Dave Davies that Mexico's dominance in the drug trade has developed over the past 20 years. In the 1980s, he explains, the Colombian cartels dominated the Latin American drug market. "They had this incredible cocaine, and they used to fly it straight from Colombia across to Miami," Grillo says. "And the American military and Drug Enforcement Agency [realized] that it was very easy to create a choke point in the Caribbean, and make it very difficult to smuggle cocaine to Florida." The Colombians, he says, changed tactics. They started smuggling their cocaine through Mexico. "The [Mexicans] began as couriers, and then they took over the business from the Colombians," he says. "And then [they] owned the lion's share of the cocaine business, where the real money was." The rise of the violent Mexican drug trade coincided with the political collapse of the Institutional Revolutionary Party (PRI), which had held power in Mexico for more than 70 years. "The [PRI] had a very good system of controlling all aspects of national life — all the local police forces and organized crime [were controlled] through a very well-constructed system of power, where the power flows down like water and the money rises up like gas," says Grillo. "So the corruption rises up like gas. And the system of corruption was broken down, so what we started to see were the police forces controlled by different political parties and actively fighting each other. ... [There was] a real fragmentation of the state. And that is one of the core reasons why the conflict has gotten so bloody and so out of control." If you legalize marijuana, for example, would it affect drug cartels? It certainly will affect the cartels. Turf wars began to break out in towns along the Mexico-U.S. border. The Zeta cartel, one of the deadliest drug trafficking groups in Mexico, started expanding all across the country. In some areas, says Grillo, they even started advertising for new recruits. "They actually had blankets hanging from bridges saying: 'Why be poor? Why take the bus to work? If you're ex-military or an ex-policeman, come to us and we'll give you a good job.' "
In the past decade, says Grillo, the level and type of violence in Mexico has changed. The first beheadings took place in 2006, when two policemen were killed. Those killings, he says, started a precedent for hundreds of beheadings and other brutal tactics. "[The cartels] saw themselves as military personnel controlling territory," he says. "How do you control a territory? You sow terror against the population." When Felipe Calderon took office in 2006, he vowed to wage war on the drug cartels. He authorized the use of military force against the drug runners and started extraditing drug kingpins. The cartels, in turn, turned on the police and the military. In the past four years, more than 3,000 policemen and soldiers have been killed by the cartels. "It's gone way beyond the bounds of organized crime," he says. "When we think of Al Capone and organized crime, we think of the largest massacre, where there were seven people killed. Whereas in Mexico, in a single massacre, you've seen 72 people murdered. You've seen mass graves with 200 bodies, groups of men with RPGs and AK-47s attacking police bases and military units. It's gone way beyond the bounds of a mafia war." Grillo says the question of how to tackle the cartels will be a major issue in the upcoming 2012 Mexican presidential election. "Many members of the public, when asked in surveys [if] they should make pacts between the cartels, they say yes," he says. "Politically, it's very difficult to say this — to say we want to work with the cartels to make pacts, is to say that you're supporting their drug trafficking. But there are cases, mainly in the U.S. when prison officials sit down [fighting rival gang members] and say, 'We have to stop this fighting.' You're not giving them anything. You're saying, 'It's not benefiting anybody to have this fighting.'" 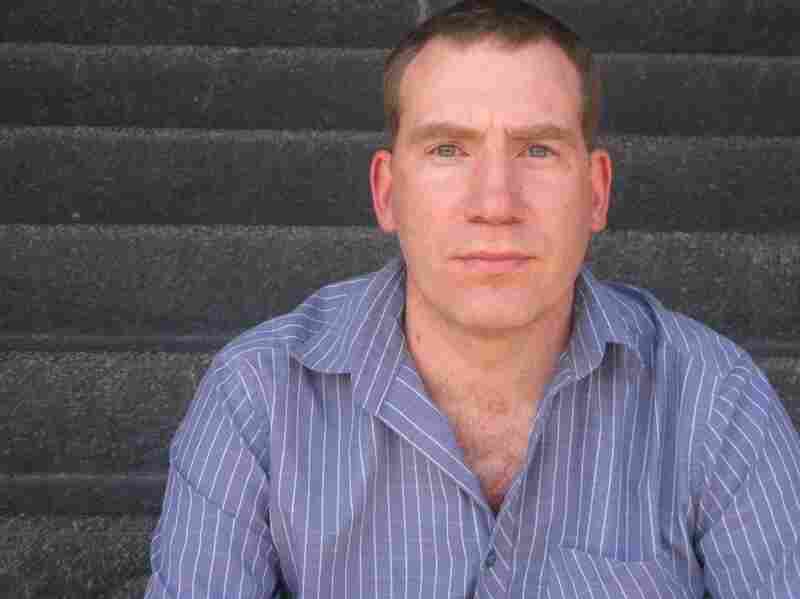 Journalist Ioan Grillo has covered Latin America for Time magazine, CNN, France 24 and The Associated Press. Grillo says one way to stop the fighting would be to look at ways to potentially legalize and decriminalize drugs in the United States. "The debate about the Mexican drug war has to be linked to the debate on the American drug policy," he says. "We have to understand that it's the same question. These drug cartels are receiving $30 billion from American drug users, and if you look at that over 10 years, you're talking about $300 billion. ... Is American drug policy effective now? Many people say it's not effective right now. ... If you legalize marijuana, for example, would it affect drug cartels? It certainly will affect the cartels. We know they make billions of dollars every year selling marijuana in the United States ... [and] we know billions of dollars go to Mexico from selling marijuana and end up paying assassins, hit men and corrupt politicians."